The California Air Resources Board’s new 380,000-square-foot headquarters in Riverside will feature a dedicated testing area for heavy- and medium-duty trucks that run on diesel fuel. Nearly one-third of the $419 million in funding the agency has raised for the project has been earmarked for testing commercial vehicles that emit higher levels of pollutants into the air. Big rigs are the major consumer of diesel fuel and therefore a main source of nitrogen oxide, or NOx, which are smog-causing diesel particulates. “The lab is where the magic gets done — where science, policy and technology are put under the microscope,” Mary Nichols, head of CARB, said at the laboratory groundbreaking ceremony last week. 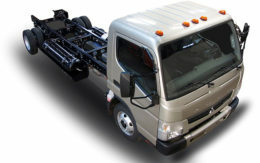 “We take trucks that weigh 80,000 pounds to a level of scrutiny down to parts per billion and hundredths of grams per mile,” Nichols said, referencing the cleanest diesel engines that can deliver 0.02 gram per mile mile of NOx. CARB will leverage its 50 years of experience in automotive tailpipe emissions testing and apply it more vigorously to the heavy-duty segment, which will be a large focus for the new lab. The truck testing will have a multi-pronged approach, said Bill Robertson, vehicle program specialist for the air board. The new facility will feature engine and whole chassis testing workshops. There will also be on-road testing using instruments attached to the vehicles that track performance data. “The on-the-road tests will simulate situational reactions such as grade changes, weather conditions, payload capacity and traffic patterns,” Robertson said. “This will be by far the largest state facility, comparable to the federal EPA lab,” he said. The Riverside facility will replace the agency’s existing site in El Monte, Calif., the Haagen-Smit Laboratory, which was founded in 1973. The lab was named for CARB’s first chairman, Arie Haagen-Smit, who first discovered the link between tailpipe emissions and smog. In the ’70s, the three-way catalytic converter, a technology developed to address more stringent tailpipe standards, was tested at the HSL for safety and feasibility. This device ultimately delivered the largest reduction of NOx in the history of the internal combustion engine. In September 2015, an international spotlight fell on the El Monte lab as CARB engineers produced evidence that Volkswagen had installed defeat devices in the emissions control system software inside its diesel passenger vehicles. The “Dieselgate” scandal cost the company $14.7 billion to settle with the U.S. government and several billion more in other penalties and restitution. Dieselgate was “a revelation that came as a result of many months of quiet detective work by our staff,” Nichols said. Volkswagen contributed $154 million of the total funding for the Riverside lab in the form of fines for air-quality violations. 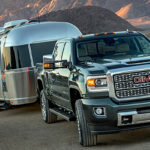 While the company was banned from selling new models of its diesel engine passenger vehicles in the U.S., it maintains that the fuel is effective for certain segments. 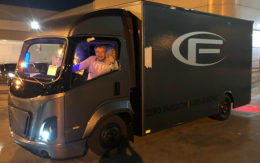 In certain arenas, such as vocational and construction trucks, it will remain the most efficient drivetrain, Andreas Renschler, head of Volkswagen Truck and Bus, told Trucks.com. 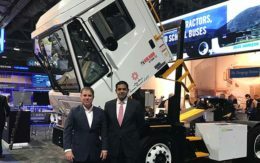 “When it comes to the truck and bus business, we will see the use of diesel for a long, long time,” Renschler said. CARB also agrees that diesel is here to stay. CARB is interested in finding a way to make the most efficient use of the fuel, he said. Tighter emissions regulations set by both CARB and the federal government have led to the development of new technologies that lessen the negative effects of diesel engines, Robertson said. “The standards drive technology, and it’s those standards that have driven every single advancement in vehicle emissions control technology,” Nichols said. Such technologies include exhaust after-treatment systems and regenerative braking, which captures the energy coming from the vehicle. “We want to understand how the technologies operate and show how the vehicles behave in use,” Robertson said. Due to the size of the service bays needed to test the larger semi-trucks, heavy-duty testing will probably have a dedicated space — “a natural segregation” — from the light-duty passenger vehicles, he said. Testing done at the CARB facility will be used to shape the emissions rules of the future. Thanks information – “This will be by far the largest state facility, comparable to the federal EPA lab,” he said.